Winter Jasmine (Jasminum nudiflorum) blooms in mid- to late winter in the Mid-Atlantic region. You will see them flowering in front yards—cascading over retaining walls and down the sides of steps. My favorite use of them is in the large concrete containers that line the National Mall in Washington, DC. The plant itself is classified as a deciduous perennial, though most consider it a shrub and it can be treated as a vine as well. The weeping habit of Winter Jasmine is really quite lovely. Try a Winter Jasmine trained on an arbor or a trellis. It also makes a good ground cover, especially on a slope or hillside. If planted in the ground, it can sucker and spread, but it is easily pulled and potted up to share. It thrives in a variety of growing situations from full to part sun, from wet to dry soils. I have never had to water mine even in the hottest of summers. They are pollution-tolerant and are generally not troubled by pests. It is often mistaken for Forsythia, but there are several differences. The Winter Jasmine's stems are squarish, flexible, and deep green while the Forsythia's are round, brittle, and brown. Also, the Winter Jasmine blooms are a lighter yellow. Finally, Forsythia normally blooms later -- in mid-March here in our area. Winter Jasmine is one of those care-free, background plants that shines in the worst of the gray winter season. It deserves a spot in your garden. More than 400 people attended the 2018 Green Matters Symposium on February 23rd presented by Brookside Gardens at the Silver Spring Civic Center, Silver Spring, MD. The program theme was "Restoring & Renewing Our Urban Landscapes." The event featured four speakers, including Dr. Timothy Beatley, Teresa Heinz Professor of Sustainable Communities, University of Virginia; Jeff Lowenfels, award winning author and columnist; Heather Holm, horticulturist, biolgist, writer and landscape designer; and, Kate Hayes, Associate, SCAPE Landscape Architecture DPC, a firm specializing in ecological landscapes. For our February 2018 Washington Gardener Reader Contest, Washington Gardener is giving away five pairs of passes to the Maryland Home & Garden Show (including Craft Show) at the Maryland State Fairgrounds (prize value: $24). The Maryland Home and Garden Show (www.mdhomeandgarden.com/spring) is back at the Maryland State Fairgrounds for two weekends (Saturday and Sunday, March 3–4 and Friday, March 9–Sunday, March 11) with 400 contractors and experts to make it all possible. See a spectacular Train Garden created by the Baltimore Area American Flyer Club while colorful butterflies roam the exhibit. The Maryland Orchid Society will present a stunning flower show and sale with thousands of orchids on display. Visitors will be amazed at the many varieties of these spectacular flowers! Several Maryland wineries at the show will offer FREE tastings with bottles available for purchase. 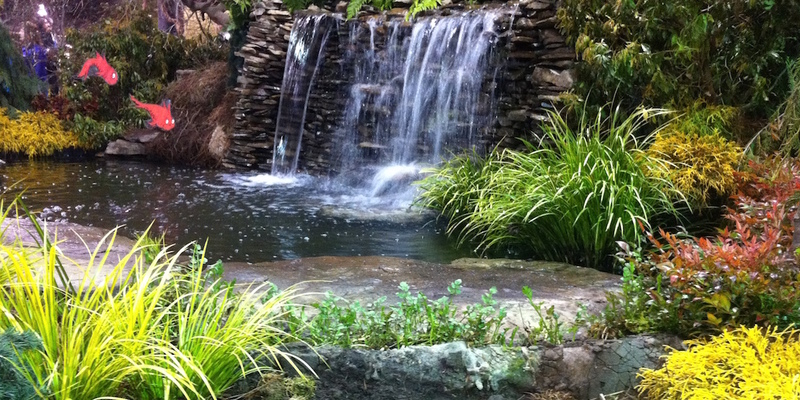 To enter to win a pair of passes to Maryland Home & Garden Show, send an email to WashingtonGardener@rcn.com by 5:00pm on February 28 with “Maryland Home & Garden Show” in the subject line and in the body of the email. Tell us what your favorite article was in the February 2018 issue and why. Include your full name and mailing address. Winners will be announced on March 1. As many local gardeners already know, the monarch butterfly population has decreased by almost 90 percent in recent years. There is simply not enough food at each migration stop to sustain them. The National Capital Area Council of Boy Scouts of America kicked off the Milkweed for Monarchs project this past Saturday. More than 500 people celebrated the start of the program at the U.S. National Arboretum. The project promotes building sustainable habitats for migrating monarch butterflies by planting milkweed. 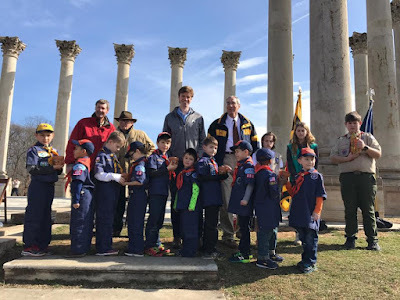 Collin O’Mara, President and CEO of the National Wildlife Federation told the Boy Scouts that they were making a huge difference and “lighting a conservation fire across this country.” He continued by saying he will challenge all scout troops to follow their lead. 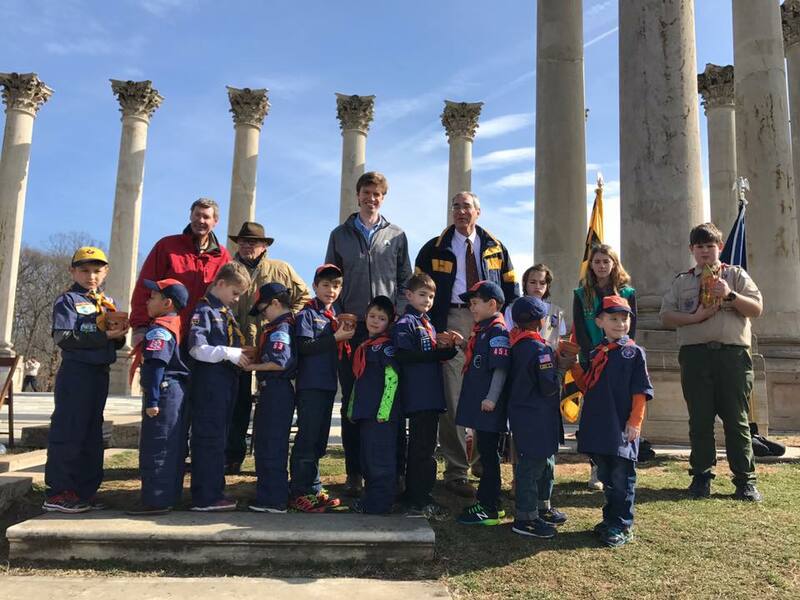 Scouts received milkweed seeds to plant in their home gardens, as the first ceremonial planting of the spring. Environmental historian and author Lowell Baier helped water the potted seeds. He was the first Eagle Scout in Jasper County, Indiana. The National Capital Area Council expects the program to expand and become an example to other organizations for conserving the butterfly population and creating interaction among the youth. Milkweed is vital to the monarch’s survival. Make sure you protect existing milkweed in your gardens. If you don’t have any, plant some. Milkweed is easy to grow, as you can start them indoors and then transfer into a plot. Milkweed is a perennial. Your plants will return the following year to help feed the next generation of monarch caterpillars. Despite the common name, Asclepias sp. is not a weed. Hopefully with our efforts, milkweed will hit a peak population in the near future for the monarchs to bounce back. Kelly Zheng is a junior multiplatform journalism major, with a minor in technology entrepreneurship, at the University of Maryland, College Park. This spring semester, she is an editorial intern at Washington Gardener. The Witch Hazel (Hamamelis sp.) is a small tree with an open vase-like structure that is treasured for its colorful foliage in fall and its beautiful flowers in late winter. To me, the blossoms resemble a bunch of tiny ballerinas or faeries dancing along the bare branches. Others liken them to spiders or ribbon fringe. Many of them are quite fragrant. The scent is often spicey with a touch of citrus. If you are a Witch Hazel aficionado, a visit to Green Spring Gardens in late winter should be on your bucket list, as the extensive Hamamelis plantings, with more than 215 Witch Hazels and 110 different types or unique taxa, were designated as an official Plant Collections Network (PCN) collection in 2006. Virginia’s special connection to the species began when the British botanist, the Reverend John Banister, discovered the common witch hazel (Hamamelis virginiana) in 1678. This native witch hazel blooms in fall and is not as showy as its Asian relatives. It does have medicinal properties and is good food source for pollinators. Witch hazels like well-drained, but evenly moist soil. They are forest understory plants that require some shade from the full summer sun. They are not usually troubled by pests or diseases. Witch hazels are deciduous. In the fall, the leaves turn a golden-bronze, then drop off. Well, most drop-off, but same hang on for months. Many gardeners strip them off as they are impatient and want to see the flowers unobscured by the now tattered and brown foliage. 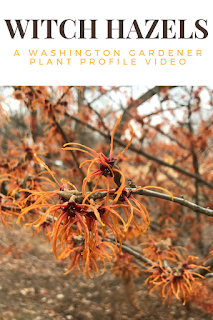 If you are looking at adding a witch hazel to your garden, I recommend these four varieties in particular: ‘Diane,’ ‘Pallida,’ ‘Arnold Promise’ and ‘Jelena’. All are proven performers here in the Mid-Atlantic U.S. and are worth a showcase spot in your garden. February 2018 issue of Washington Gardener Magazine is now out. 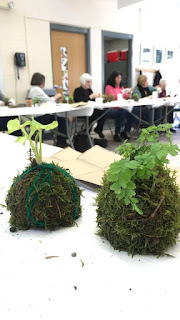 The annual Washington Gardener VA/DC Seed Exchange took place on Saturday, February 11, 2018 at Green Spring Gardens in Alexandria, VA. Seed Exchange attendees trade seeds, exchange planting tips, hear expert speakers, and collect goody bags full of gardening treats. Speakers Niraj Ray and Elizabeth Olson share tips on vertical farming and gardening to support honey bees. Teri Speight comments on the value of seed swaps and growing something. For our next 2018 Garden Book Club selection, we will be reading: "A Southern Garden" by Elizabeth Lawrence. Our spring meeting will be on Thursday, April 5 April 12 from 6:30-8pm at Soupergirl, located right next to the Takoma metro stop. Soupergirl offers soups for sale that are incredibly healthy. They are 100% plant-based, low salt, low fat, and most importantly, absolutely delicious, so plan to come a bit early to purchase and eat your dinner with the garden book club. Please RSVP to washingtongardener (at) rcn.com or on the event page (https://www.facebook.com/events/1482626398526968/), so we know how many chairs to reserve for our group. 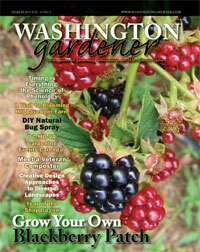 The Washington Gardener Magazine's Garden Book Club is free and open to all. We meet quarterly on a weekday evening near a metro-accessible location in the DC-area. We will announce the details of each upcoming meeting about two months in advance. UPDATE: April 5th is during Passover, so we have rescheduled the meeting for the NEXT Thursday instead - April 12. Here are the 17 winners in the Washington Gardener Magazine 12th Annual Photo Contest. There were more than 200 photos submitted in this year's contest from 25 entrants. I know our expert judge had a Herculean task picking out the best of the best! Many of these photos come from the photographers own home gardens, while the majority of the rest of the images were taken at local public gardens. 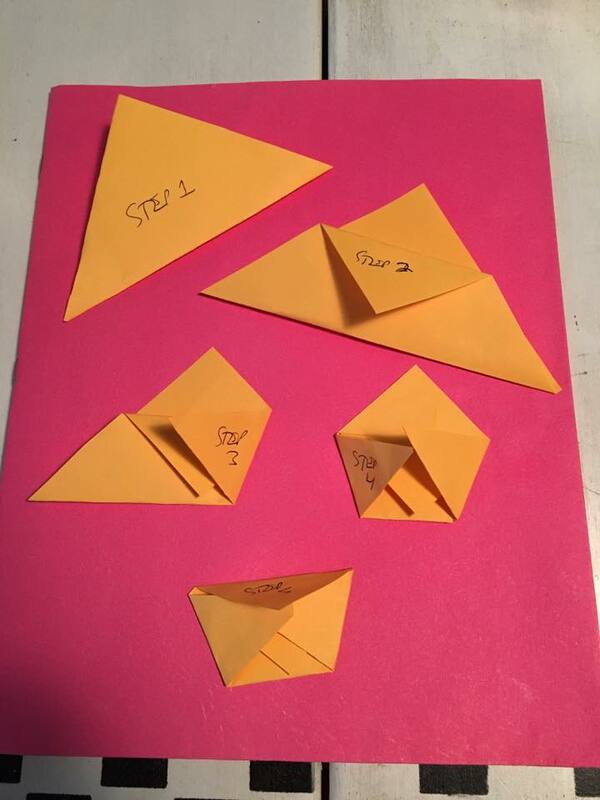 Note that what you are viewing online here is a low-resolution version of the photo images. Winning images will be published in the next issue of Washington Gardener magazine and as large format prints in a local photo exhibit this summer at Meadowlark Botanical Gardens in Vienna, VA. The winners were announced live during the Washington Gardener Seed Exchange on Saturday, February 10 at Green Spring Gardens in Alexandria, VA.
Congratulations to the 2018 DC Garden Photo Contest winners! The video includes excerpts from the three speakers at the Seed Exchange 2018 held at Brookside Gardens in Wheaton, MD. ~ "Planning and Organizing this Winter for Quicker Planting this Spring"
Don't miss this Saturday's Seed Exchange 2018 held at Green Spring Gardens in Alexandria, VA! Recycling old garden catalogs is a fun way to package up your seeds to give out to friends and other gardeners. 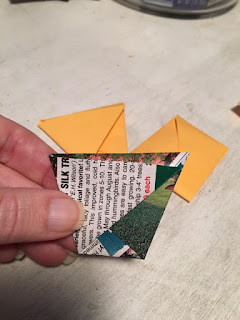 It is also great to know how to be able to make your own envelope when you are out garden touring and someone offers you some seeds. 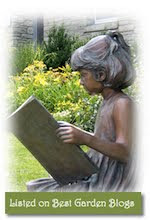 - old seed catalogs, garden magazines, etc. 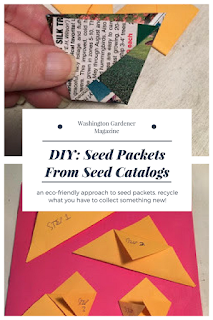 Bonus Tip: It is nice to use a page with a photo and information that corresponds to the seed that is inside the packet.